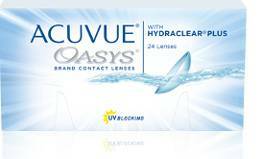 ACUVUE® OASYS® Brand Contact Lenses with HYDRACLEAR® PLUS. Home » Eyeglasses & Contact Lenses in Lawrence, KS » Contact Lenses » Brands we Carry » ACUVUE® OASYS® Brand Contact Lenses with HYDRACLEAR® PLUS. Upgrade to ACUVUE® OASYS® Brand Contact Lenses with HYDRACLEAR® PLUS. Your eyes will thank you. Your eyes will feel fresh and comfortable even in tough surroundings with ACUVUE® OASYS® contact lenses with the HYDRACLEAR® PLUS technology. Offering extra smoothness and wettability, people suffering from dry eyes have found their remedy with this next generation contact lens brand. With ACUVUE® OASYS® contact lenses with the HYDRACLEAR® PLUS technology you might even forget you are wearing contact lenses as the natural feeling lasts the entire day. 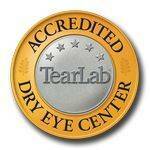 Read more about the #1 doctor prescribed contacts by eye doctors in the U.S.